I found the content interesting. 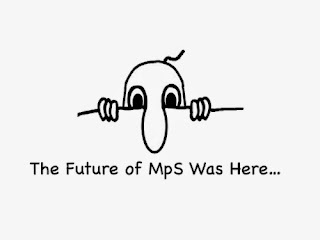 "MpS is a Signficant Threat to the Supplies Business"
"MpS should be the first step in engaging clients for overall managed services." 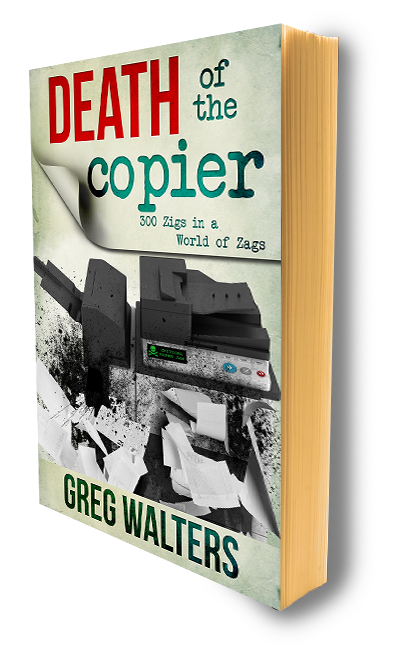 "A3 in decline and has been before MpS became 'sticky'" - The Death of the Copier. "Everybody is considering mobile printing"
"The key to the recovery will be looking at workflow"
One of the questions from the audience, "what is ITO and BPO?" I like Lyra - they poll regular types and don't seem to always recommend their big sponsors as the best...like that Quadrant thing. MpS should serve as an entrance to more services for clients converting into ITO, BPO, document workflow. Once the initial cost savings in Stage 1/2 has be realized, we need to develop new ways to engage prospects. 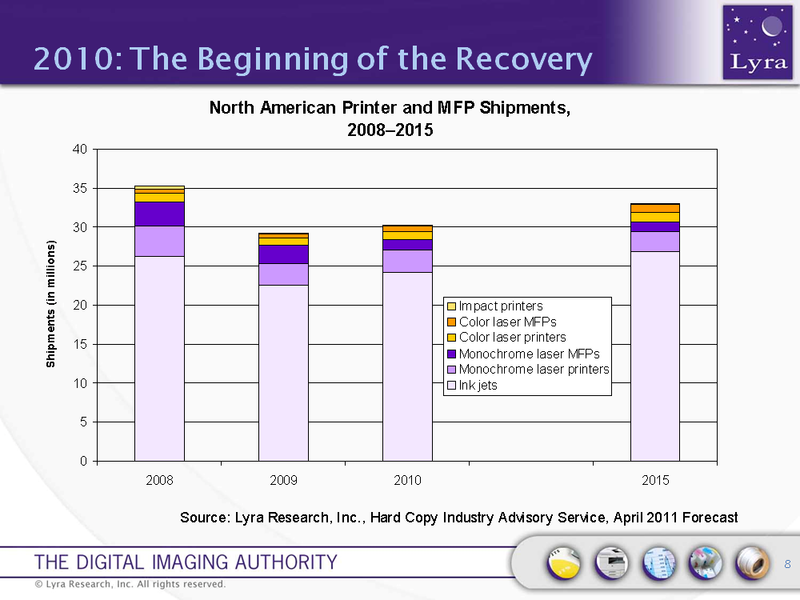 "Overall, printing may never be what it was, but market players truly need to think outside the printer box..."